A thank you letter for the painting Mr. Conrow sent to the Berry Schools. 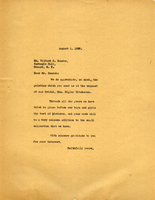 A thank you letter for the painting Mrs. Hitchcock gave to the Berry Schools. 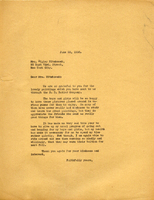 Letter to Martha Berry from Helen S.H. 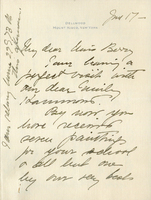 Helen S. H. sends kind words to Martha Berry and encouragement for her and the schools. She discusses the shipment of several paintings to Martha Berry.